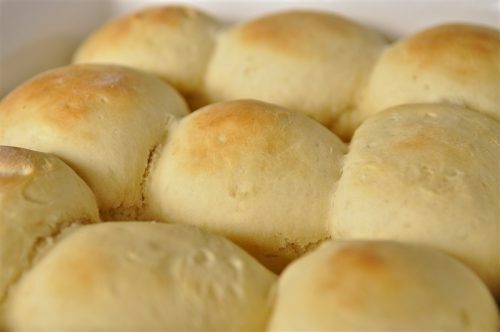 You can make homemade yeast rolls in no time at all with this 30 Minute Rolls Recipe. I’ve lost track of how many times I have made these 30 minute rolls in the last few months. Let’s just say it’s been a lot. And every time I’ve made them everyone has asked “Is this recipe on the blog?” And now it is! There is also a video at the bottom of this post so you can see just how easy it is to make these delicious rolls. I found this recipe over at my friend Laura’s blog – Real Mom Kitchen. At first I couldn’t believe that these rolls only take 30 minutes to make. Start to finish. Really! And they are a yeast roll. Also, I love that this recipe makes exactly a dozen dinner size rolls. It is the perfect size recipe for a family meal. How to make 30 minute rolls. First, you mix the yeast, sugar, oil and water together and let it rest for 15 minutes. Then you mix up the dough and make 12 balls. Next, place them in a 9 x 13 pan and let them rest for 10 minutes. Then you put them in the oven for 10 minutes. After baking in the oven, you pull out a dozen golden brown rolls. And they taste as good as any roll that took you two hours to make! I recommend you eat them fresh and warm, right out of the oven. And with lots of honey butter! There you have it! 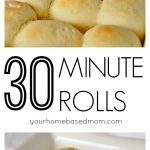 Quick, easy and delicious 30 minute rolls! I really is that easy. For something a little different, be sure and check out the Herb and Cheese Rolls I created too. They are so good!. Sounds yummy! Do you use the dough hook for mixing the first ingredients? Yes, I use the dough hook. Enjoy! Do you have to have the mixing machine that has dough hook and all that? I don’t have one of those, just a regular hand mixer is all I have. If you don’t have a mixer with a bread hook you will just want to use your hands. A regular hand mixer won’t handle the dough too well. what can i substitute the eggs for. Gita, If you usually substitute something for eggs I’d just try what you usually use. I’ve never substituted them with anything. Sorry I’m not much help. Wow! My son loves rolls, I need to give these a try! I have trouble with yeast, do I just use regular yeast? Yes, just regular yeast. Let me know how it works for you. I love making bread. 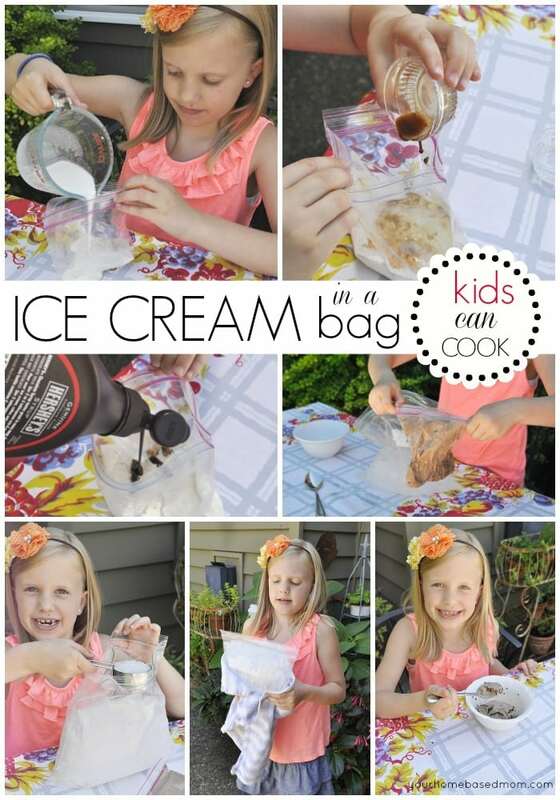 When I saw this recipe this morning, I was curious about how this could be done so quickly. I just finished making the rolls and they are fabulous. I actually made 15 quite large rolls out of this recipe. It looks like the speed comes from mixing sugar in with the yeast and water to proof. The only think I did differently was to brush the tops with butter half-way through the baking time and then again after they came out of the oven. Excellent recipe. I will be making these again!! Maybe try half and half first – let me know how it works! I’ve made these a number of times lately. They are so quick and good. I reduced the yeast to 1 1/2 Tbsp. and use half white flour and half wheat. Even better!! Thanks so much for the recipe! Just printed this recipe to try this week. Looks super easy and super delicious. It reminds me of a recipe I made many years ago, over and over again, in a bread machine that eventually wore out. Thanks for making it easy to print out. I was just trying to print out another recipe on another blog and there was no way to do it without all of the extra stuff. It would not print out right so I gave up. they look great! i am planning to make them real soon. would you know if the dough can be used to make cinnamon rolls too? I have not used them for that but I don’t see why not. You may want to add a little more sugar to the dough as cinnamon rolls are usually made with a little sweeter dough. Give it a try and let me know! i am planning on trying them for the cinnamon rolls REAL soon. i made these saturday afternoon and everyone here LOVED THEM!!! thank you so much! I was thinking as I was making these rolls that this dough could definitely be used for cinnamon rolls. I made these last night with a 50:50 blend of whole wheat and unbleached flour. Amazing little recipe for those times when you need something to round out the meal in a hurry. A keeper! I made these the other day they were so light and yummy! I will definitely be making these again. The only problem I had was that the dough was really sticky. Was this a problem for you or could it be because I halved the recipe and eyeballed the amount of egg? That’s the same problem I just had. I found them on Pinterest, and am still waiting to see how they turn out. They’re in the oven now! 🙂 But, the dough was super sticky. Any solutions or answer for that? A friend of mine referred me to this recipe (and your blog). I love your blog and I LOVE these rolls. I made them for dinner tonight and OMG I am in love with how easy they are. My dough was super sticky – is that how it’s supposed to be? I ended up adding more flour so I could handle it easier. This is a dangerous recipe for me – so good and so easy. What kind of flour? All-purpose or self-rising? I used Bread Flour in these. Made these tonight and these were the best light rolls that I have ever made…. Loved them and they were so easy. So glad you enjoyed them! They are wonderful and so easy! So glad your friend shared with you. The dough shouldn’t be super sticky so just add in some more flour. That should work great. Sometimes your altitude or even the weather can affect the stickiness of the dough. I used regular white flour. I have also used bread flour but regular white works great. White flour is still wheat but I used white all purpose flour not whole wheat flour. Did you use plain flour or self rising flour? Do you use rapid rise (or quick acting) yeast or just the regular yeast for bread machines? Thanks! They look delicious! Just made these with 100% whole wheat flour. I just added the flour until it made a slightly sticky dough. They were amazing. Good to know – I will have to give it a try. I have another fun version of this roll I made this last week I will post later this week. Found this on Pinterest and made them tonight for dinner. These are the PERFECT hot roll!!!! I have already emptied out my so-so- recipes and replaced it with this one. They are super easy and taste amazing. Thanks for sharing. So glad you liked them. I’ve got a fun new version of them coming up later this week. Made these rolls tonight for dinner. It was the first time I’ve made homemade rolls. Very easy recipe and simple to follow. They were very yummy! However, they tasted a bit floury (it’s a word right? ha). What do I do about that? I followed the recipe exact. Ashley – Congrats on making your first rolls. As far as tasting “floury” just try adding the flour a cup at a time until the dough is soft enough and not too sticky that you can work with it. You want a nice soft dough, not sticky but not too dry either. Hi!! I’ve been looking for a recipe like this one for sooooo long!!! thank you for sharing! It looks easy and delicious! my husband will love it! I wanted to make these but I was wondering since I don’t have a dough hook if they would still turn out the same! It will work it will just be more work! Oooh, these look wonderful! It’s getting cold here, so today would be a nice day to bake! Just tried these and they were a bit floury…had to add extra flour because the dough was sticky. Will definitely try them again another day! Stuffed a few with cheese and a few others with the same filling we use for Pan de Jamon we make in my country (ham, olives, raisins….sounds strange but yummy). They turned out great! I wonder if these could be made gluten free by using an all purpose gf flour? Hmmm. They look/sound delicious! I haven’t tried it yet but probably will over Christmas break when my gluten free daughter is home. Let me know if you give it a try. Thanks for sharing! I made these this morning — guys on tractors and combines loved them ! I did use milk for the water and used margarine or butter for oil. Then I made them into cinnamon rolls ! They are begging me for more ! I am glad I found you ! I think I screwed up somewhere. Made these for a small dinner party to go with crock pot BBQ ribs….and the dough didn’t form a ball. I’m definitely going to try again. I think I used 1/2 c water instead of 1 c.
Can the dough be made a day or more ahead of time and then baked? Or should they truly only rest for 10 min? I do not have a hook, is that okay? Yes – I used a hook but you could use a wooden spoon and your hands. It’s just harder work! There’s only two of us….I was trying to figure out if I could cut this in half. The only thing that might mess me up is the 1 egg. Think I could still just use a whole one and I’d be fine? I made these but they turned out kind of crumbly, more like biscuits than yeast rolls. Any ideas what I did wrong? I was wondering about this as well. Any thoughts? Thanks! I made these Monday and froze them for our Thanksgiving dinner on FRIDAY….how should I heat them up again? I usually put rolls/bread in a brown paper bag, rub the outside with a little water and then put it in the oven (the water helps the bag not catch on fire!) They heat up that way without getting soggy or dried out. My sister has been making a version of these for years, but they’re one-hour rolls. I discovered I can let her recipe rise less and they still cook up large in the oven like your recipe! I will definitely try your version because we are a busy small family of 4 and 30 minutes is perfect! These are sooo awesome! I have four kids and they rise and call me blessed when I make these! 😉 thank you! Mine had soggy bottoms! Am in the UK so may have got the measurements wrong when transferring from your cups to mls/mgs. They looked lovely but were also a bit ‘doughy’. What kind of yeast do you use? I normally use the packets and they come in 1/4 ounce portions, so I was wondering if there was something else I should use. Thank you! I buy my yeast in bulk but you can use packages. One package of yeast is about 2 1/2 tsp of yeast. One Tablespoon is equal to 3 teaspoons. So you could use 2 packages of yeast and just be under 2 Tablespoons and it would probably be fine. My husband made these rolls this week – they were great. The only problem he had was they were really sticky even after adding an extra cup of flour. He said that he never did get them to form into balls and had to just throw them into pan. He used bread flour and 3 pkg of rapid yeast, Do you think rapid yeast made a difference? Could you tell me what a bread hook is?? Those rolls look delicious…. would love to make these for dinner but all I have is quick rising active yeast, how do you think that would work??? Don’t see why it wouldn’t work. I just wouldn’t use quite as much. LOL – love it!! So glad you all enjoyed it. I have been using this fabulous recipe for EVERYTHING! Plain rolls and anything that says to use a refrigerated dough. It’s so versatile! So glad you had success with them! Was so excited to try these and did this evening, but they flopped. Did not rise and would not bake through, stayed very doughy inside and I baked them for over 30 minutes. Just checked to make sure I had all the ingredients correct and had followed all directions. My yeast was brand new. Do you have any suggestions as to why this would happen? Not sure what happened. This recipe works beautifully most of the time but have had a few people have a problem with it. Did your yeast proof? The only reason I can think of that they didn’t rise was that your water was either too hot or not warm enough and the yeast was not activated. This would cause them not to rise. The water was not too hot. I used warm water. I thought the yeast looked good. I will try again with warmer water. Thanks for your advice!!! These came out perfect! I never thought I could make good homemade rolls so quickly. Thank you so much. So glad to hear they worked great for you! They will soon become your favorite roll! They are so easy and quick to make you’ll want to make them all the time. These were so quick and easy and YUMMY!!! I have never made homemade rolls because I was scared to even try a recipe with yeast. Thanks for sharing this! I will be making these often and Im going to try and freeze the dough so I can just pop 4-5 rolls in the oven at a time. Have a blessed day. This is a beautiful recipe! 🙂 I was skeptical good rolls could come from 25 mins of rising, but it sure proved me wrong! They were wonderful, and made just enough to feed me, my mom and daddy, and five siblings. Tasted great straight from the oven and flavored with a dab of homemade apple butter. Thanks a bunch from southern Missouri! I made these rolls they tasted great but they were dry. What did I do wrong? Or didn’t do right. Not sure – maybe a little too much flour?? Glad they tasted good. Have you ever doubled the recipe? We are having company for dinner and I need more. I have not doubled them but I would think the recipe would double easily. If you try it let me know! I had to add more flour to be able to handle to shape the rolls and thought they needed more salt. Thanks for the recipe. Try adding a bit more salt next time if they were too plain for you – Salt will enhance and bring out flavor. I love the ease of these and have made them like 8 times, but I cannot get them to taste like much. They just don’t have much taste at all. How much more salt would you add? Any other suggestions? Thanks! Try increasing the salt by half and see how that works. I made these tonight to go alongside our family’s fave salmon cakes. The recipe is great overall, but it is seriously lacking in salt! I was skeptical about the 1/2 tsp going into it, and I wasn’t too surprised when I sampled the dough after I scraped the bowl or when I tasted them fresh out of the oven. But then I clicked over to Real Mom Kitchen’s recipe and saw it had 1 1/2 tsp salt instead of 1/2. Seems to make much more sense. Not sure if yours was a typo or a variation, so I thought I’d share. 🙂 We’re not huge salt people, but I know what good things it can do for bread, and this recipe would really taste better with more than a tiny 1/2 tsp. We just buttered with salted butter at dinner, and they were fine. Great texture, and the ease of 30 minutes flat (It really did take me only 30!!!!!!!) cannot be beat! JoyRenee, You are right – that is a typo – I’ve gone in and changed it to 1 1/2 tsp – sorry about that!!! Can’t believe I didn’t catch that before!! Actually – it should be 1 tsp. The version you were looking at on Real Mom Kitchen was for a double batch of what I have on the blog but I think 1/2 tsp isn’t quite enough so I upped it to 1 tsp for a dozen of the rolls. Will you be changing the recipe to 1tsp? I have been looking for a good roll recipe for years and alot of people will not give you there recipe so I never made them so I was wondering if I could use self rising flour? Thanks so much. I have never tried using self rising flour. My understanding though is if you substitute self rising flour for regular all purpose flour you need to omit the salt and baking powder from the recipe. Let me know if you try it! I din’t see baking powdr in the recipe above, should it be there ? My rolld have been heavy, maybe thats why ? There is not any baking powder in it and they are a denser roll. You could allow them rise more if you’d like them lighter. Trying these tomorrow to go with Turkey sliders! Thanks! I did get the updated recipe, thanks! Also you noted that humidity makes a difference in rise time, temperature does too. My kitchen was cold yesterday so I gave them an extra 10 minutes to rise. The oven was already hot, so I couldn’t use that for them. They were great for sliders. Have you tried them bigger like for hamburger buns? Might try it and see what happens. Thanks for replying, and great recipe. i followed the recipe and my rolls turned out more like biscuits. can anyone tell me if they had this happen and/or how to fix it? The rolls are definitely a denser roll due to the short rising time. But if they were more like biscuits it may have been an issue with your yeast. Did your yeast “proof” (get bubbly) also did the rolls rise at all? If your yeast wasn’t activated because your water was too hot or too cold that may have caused the rolls to be more biscuit like. I know they don’t call for bread flour, but if they’re not rising fully, try using that instead of all-purpose flour. I was having the same problem with bread in general until I fixed that one problem. Now everything turns out great. I just made these using bread flour and they came out perfect. Thanks for the great tip on using bread flour. I will add that to the recipe. Can’t wait to try it out next time I make them. Bread flour and I often add vital wheat gluten to my bread recipes. to convert regular flour to bread flour, just add 1 extra tablespoon per cup of required bread flour….. or you can add the gluten. We just add the extra regular flour and no gluten and it seems to work just fine. Jen – same thing happened to me! They taste more like my Mom’s yeast biscuits. I used All Purpose flour so maybe that was the problem. I’ll try bread flour next time. They weren’t bad – but I was expecting “rolls” like at Logan’s Road House. It was like taking a big gulp of what you think is Coke and it was really Dr. Pepper! LOL! If I can ever figure out how to make rolls like Logan’s, my husband and kids will love me forever! Mine were pretty dense too. I don’t think I let them rise enough I just went by the recipe and let them rest for 10 minutes. I didn’t know I had to let them rise. But they still tasted good just dense. Did you use regular flour or bread flour? I find they aren’t quite as dense with bread flour. Is the flour all purpose? Can u use active dry yeast or does it require a specific yeast!! I know sometimes it does make a difference in the yeast you use to make good rolls! I use the regular active dry yeast – not the rapid rise. Really?!! If I could make these work I would feel as if I have finally crossed the line between roll failure and roll success. Plus I am really impatient. Amazing. These are really yummy, but the name is a bit of a misnomer. They’re really more like 45-50 minute rolls. Still, that’s better than the alternative. Hope you’ll try them again! Am going to try these tonight. Sounds easy enough to do. I can’t wait to try these! I was wondering if you have ever frozen the dough? Do you think it would be possible? I have never frozen them but I think they would freeze fine. If you try it, let me know! Bake first then freeze, just warm up after. Freeze them after baking makes for a better product later! What type of oil do you suggest using? Olive oil? Vegetable oil? These really are good rolls, but they’re not 30 minute rolls, more like 45-50. There’s 35 minutes just in the resting and baking times. Still, it’s better than the alternative. Thanks! After a little experimentation, here are a couple of things I’ve discovered. First, if you substitute 1½ tablespoons of rapid rise yeast for the 2 tablespoons of regular yeast, you don’t have to let it rest (proof) 15 minutes at the start. Also, the first time I made these, they got a beautiful golden brown on the outside, but weren’t quite done on the inside. So this time I lowered the temperature to 350ºF and increased my cooking time to 18 minutes and they came out perfectly. The increase in cooking time was more than offset by the reduction in resting time. I can’t believe these were so soft after only rising 10 minutes! I think homemade rolls are back on the menu at my house. Mixing by hand is fine – it’s just more work! Enjoy. LOL okay but they sounds like they are worth the work !! Thank you! My dough was intimidatingly sticky so I decided to spray my hands with the coconut oil cooking spreay i used on the baking dish.. Worked like a charm! I made these rolls this week and they were fantastic! I had to bake them about 5 minutes longer than stated to get any color on them. There are only 2 of us, so there were leftovers. I put them in the freezer and tonight I pulled out a few and put them on a baking sheet at 350 degrees for 10 minutes and they were even better than when they were fresh baked! Thanks for posting this recipe. It will replace our Sister Schubert’s rolls in the freezer! The first time I tried this they turned out like biscuits. Still not bad. The leftovers were good. So I read the comments and decided maybe mine did not rise enough. So I decided I will give it another try. Mind you, I have never made any form of bread from scratch before. I don’t like the kneading part so this one was for me. I tried making it again tonight. I doubled the recipe. Added 2 teaspoons of garlic powder and 1/2 c Italian cheese. Mixed them all together. I made the rolls a little bigger, and still let it rest for 10 minutes after forming them into a ball. Baked at for 18 mins @ 400 F.
This I know for sure, this is a keeper for sure! The smell is incredible. It tastes really good. This time it resembled more like rolls more than biscuits. Adjustments I will do next time, add more cheese and try herbs for sure. I will most probably lower temp to 350 or 375 specially with double recipe and cook it for 20 mins. So glad you enjoyed them and your version sounds great! I made these rolls tonight for supper and they were awesome! I had to switch pans half way through to get the bottoms cooked evenly though. Has anyone tried a different pan that cooks more evenly? I also brushed my buns with melted margarine right out of the oven and it made them even better! Making these now. I will be featuring them on my thrifty-food blog if all goes well! If so, I’ll link back with the page and let you know. Thanks for the recipe, I can’t wait. These are really fantastic…..I just made hamburger sliders with caramelized onions and used these as the buns. Really really good stuff. These would also be possibility for hotdog buns? Can they freeze? Such a great recipe! I haven’t frozen them but my guess is they would freeze great. PS: I’d love to incorporate my sourdough starter in this……any suggestions on how much I should use and replace with what? I may have to go to my lab, ahem….kitchen I mean and create something. Nicki I have never worked with sourdough starter so not much help – sorry! Think you better head to the lab! I bet they will be delicious though. These rolls are fabulous! I will use this recipe from now on-amazing! Has anyone tried using Honey instead of the sugar? i’m trying to tonight, hope it works! Honey worked great for me!! Check the website link above for the finished product. I had to let rise a litle longer because it was cold. I thought I would try these tonight to have with spaghetti. They seemed to be a cross between a biscuit and a roll. However, I found they tasted a bit yeasty. They are definitely a yeast roll so will have that yeasty flavor. Oh wow, found this via Tipnut and must try these soon. They looks so yummy! Thank you for sharing! I made these with half whole-wheat all purpose flour and half white all purpose flour. They turned out well, if a bit dense, but super tasty out of the oven! Thanks for a great recipe for my pulled chicken! Love these rolls. Since I found the I make them all the time. So glad you liked them. We visited Chile several years ago and I remember having lots of good bread while I was there! canola or vegetable oil will work. Just made these rolls. I was so happy to see that there is no dairy in these rolls because my little boy LOVES bread and rolls like this but can’t have dairy. The rolls came out beautiful. I did let them rise in my oven a bit longer with just the oven light on for about 20 minutes. I had my bread maker mix up the dough for me. I used bread flour, I think that is a must in this recipe. Really easy and yummy! I will be making these rolls on a regular basis..Thanks! Thank you for a great recipe that I accidentally modified because I was rushing through a recipe. It will always be our dinner roll recipe!! I will have to try your no egg version next time. Thanks for sharing. I found this recipe from the link up and it was perfect since I wanted to make some homemade bread to go with our supper and didn’t have a lot of time. I pinned it so we can make it again! Glad you found it and like it! You will find yourself going back to it over and over again. So easy!! I am NEW to baking, I can cook with the best of them, but I am baking illiterate. What kind of yeast do you use? Whenever I go to buy yeast there are so many options and I get overwhelmed. made these last night with our supper and they were done lightening fast! more than likely, under the 30min suggested time. I didn’t need anywhere close to the 15min proofing – it was perfect at 5mins. I used more than the suggested 3½C flour, and it was AP flour as well because it was extremely humid here yesterday and I still ended up with a very sticky dough after adding in over ¼C more flour. Considering that it was my first time making these, I didn’t want to add in too much and make it worthless. So glad! They are the best!! Just wow! This recipe is most definitely a keeper! Found a link to this site via Pinterest and when making my dear man a pasta dinner tonight, figured I’d give these a try. The only thing that I modified were some additions; I added shredded mozzarella, a small handful of shredded sharp cheddar and parmesan along with italian seasoning and garlic powder to the dough (I was looking for more of a savory flavor). Once they came out of the oven, I topped them with melted butter, sea salt and garlic powder. Outstanding! Thank you for the great recipe. I’ll be linking back to this page via my site too. Maureen, love the additions that you added to the rolls. I am going to have to give it a try! Thanks for sharing. Great recipe! I made them last night and immediately took some to the neighbors so that we didn’t eat the whole batch ourselves! I was skeptical of a 30 minute yeast roll, but you proved me totally wrong! I blogged the recipe and linked it back to your site. Thanks for adding a fabulous roll recipe to my repetiore. I do not have dough hook or even a stand up mixer, will it be okay if i wisk it together? Or maybe use my hands? You can just do it with your hands. Add enough flour so it doesn’t stick to your hands. I just made these rolls and WOW they are great. These rolls brought me back to 1970 when I was in high school. Our cafeteria made rolls almost exactly like these. When my girl friends and I wanted to go out for the weekend we would take 5 cents out of our 55 cents lunch money and buy just the roll for 5 cents and make it our lunch. You helped me recreate a wonderful memory. SO love that they brought back that happy memory! What a good cafeteria you must have had – ours never had anything close to this good!! Rarely ever post on blogs, but this recipe was too divine not too!! My whole family LOVED them and I was thrilled at how easy they were. I did them per recipe and used my 12in cast iron skillet to bake them in. Basted the tops with salted butter when they came out of the oven. Felt like clouds and tasted like heaven!! Thank You!! I will NEVER buy rolls again!! Laura, Thanks for taking the time to comment. I love the idea in doing them in my iron skillet. Will totally try that next time. Thanks! SO glad you enjoyed them. Hi Leigh Anne, my name is Maria. This is an amazing recipe. 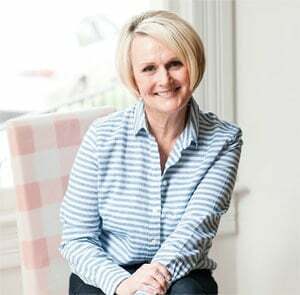 I love all your recipes so much that I added this one to my blog, but giving the link to here, as the original source, as I always do with everything I publish. Thank you very much for your time and kind consideration. I watched a masterchef show where one of the contestants baked a french loaf in 30 min and the judges praised him for it. I thought I had to have that recipe and scrolled for one. I tried it immediately. Got your recipe 45 min ago and baked immediately. The only thing I did was to reduce the yeast to 1 1/2 tbs and added vanilla extract to reduce the yeasty smell. They turned out beautiful and I mean beautiful. I had 16 gorgeous rolls, topped it with a bit of cheese and I could not believe how dense and lovely they were. Will try and make them as burger buns for my children’s breakfast. Thanks a zillion. Love the idea of adding vanilla – will definitely try that next time. So glad you liked the recipe. These were AMAZING!!! My 12 year old daughter just made them. We used the bread machine to mix it and took it out right away and followed the recipe. They were perfect an oh so tasty!! Thank you for a GREAT recipe!! So glad you liked them and love that your 12 year old made them!! Absolutely LOVE your blog…just found it and tried your rolls today and am hooked! Question however, I made these with unbleached flour and put them in my bread maker to knead. I had to put some extra flour and cook them a little longer. Because I put more flour in them, do you think it caused them to need to cook longer? They were BIG and excellent even though I let them rise five minutes longer and put them back in the oven becase they were raw and not quite done. Thanks in advance! So glad you liked the rolls and the blog. Oven temperature can vary and if they got really big they might need a little extra time! So glad you enjoyed! Hope you enjoy them as much as we do!! I followed the recipe to a t but found the dough very sticky to work with. Not sure what I did wrong. If the dough is stick just add some more flour until you can work with it. if i have extra dough can i refrigerate and cook later on time crunch and unable to bake the rest. I made up more than i needed usually cook n freeze but out of time. I think I would pop them in the freezer. In the refrigerator they will continue to rise. I tried these rolls using bread flour and grapeseed oil. They were delicious. But they took me 20 minutes at 400 degrees to be golden brown. (I may try them again at 350 degrees as one of the others on the site suggested, just to see. Nice to have homemade rolls over the store boughten ones. This ones a keeper…..
Amazing! I made these tonight and they are divine. My son is humming they are so good! He’s just 3, LOL. Thank you so much for a fabulous recipe! So glad it was a hit at your house too! DELIGHTED to find your recipe! Can packets of yeast (Rapid Rise or Regular) be used? I use the yeast packets and knead by hand. I use two packs of yeast…they seem to have about 1T per pack. The first time I made them it turned out great. The second time the yeast didn’t take (I don’t think my water was warm enough, it has to be HOT). This time they turned out great again! This is the second time I’ve commented :). I just wanted to let you know the first time I made these I used all purpose flour and they were awesome. We froze the leftovers and they didn’t stay left over long. This time, my husband said show me how to make that yeast bread. I want to make pigs in blankets! So that’s what we did. From start to finish in about 45 minutes. We used tiny turkey sausages and just rolled the dough around them. It was fun and they taste delicious! I did pick up some bread flour and that made the texture much smoother. He liked the egg in the first round, so we left it for this one. Thank you so much for posting this recipe! DH said he was going to have to be careful, this one will make him gain weight, LOL! I’m excited to try your recipe! I have packets of Red Star Platinum yeast and was wondering how much to use? These packets don’t say how much is in them, but I know that regular yeast packets contain 2 1/4 tsp. Since your recipe calls for 2 Tbls… that would mean using almost 3 packets of yeast, which seems excessive for 12 rolls. I’ve never baked with anything other than the packets. Can you help enlighten me? Thanks! 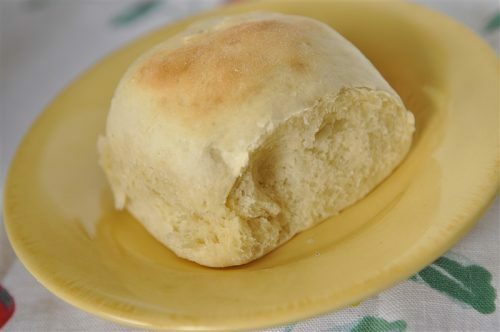 What a great quick and easy dinner roll recipe. The rolls were tasty and the inside was very soft and fluffy. I was concerned they might be to tough because I needed to add an extra 1/2 cup of flour to make the dough workable. This recipe is defiantly a keeper. I pinned this on pinterest a while back and finally got around to making them. Followed your directions exactly and everyone loved them! Thank you so much! As a mom with 3 kids under the age of 5, doing homemade bread/rolls are tedious for me and I never have enough time, someone’s always crying it seems. ha! I love homemade rolls and we never have them, usually resorting to loaf bread and butter, boring!! I could not believe how wonderful they were with such little work. I am forever grateful! Thank you thank you! I am so glad you enjoyed it!! Thanks for coming back to let me know – so appreciate it!! Check this out – it gives you a conversion. I have only used active dry yeast not the instant yeast. Just made these for dinner, and THEY ARE DELICIOUS! I can not believe in 30 minutes they turned out so well. I even used All Purpose Flour since I didn’t have Bread Flour. I can’t wait to try it with Bread Flour if you say it helps. Wonderful recipe! So glad I found it! Yeah! So glad you enjoyed them. So fun to have something so delicious in only 30 minutes! I always put my pan on a heating pad to rise. Maybe I will try that with these for the ten minute rest and see what happens. Maybe they will rise even more. Totally love this idea – can’t wait to try it. Good to know they work well without the egg. Thanks so much for letting me know. So glad you enjoyed them!! Great recipe! We used this recipe to make garlic knots. Super fast compared to other yeast dough recipes, yet still delicious! Thank you for sharing the recipe! I would like to taste this rolls, but I would like to know if C is for cup. Than water and oil is the same quantity? I’m from Italy and my oven goes maximum at 250° is this temperature oK? So glad they were a success and thanks for the tip on kneading. Not sure what I did wrong but mine turned out heavy as a brick. 🙁 but I was cooking with a baby on my hip so I might have messed up somewhere. I’ll try again when hubby can hold the baby. Can these be made even though I don’t have a stand alone mixer? I just have a regular hand held mixer with beaters. If you don’t have a stand alone mixer I would do it all by hand. I am afraid the dough will be too heavy/stiff for your hand held mixer. I only have hand mixer as well. So what do we do if we don’t have a standing mixer with a hook.? You can definitely do it by hand it is just a lot more work! I made these tonight but the dough was really sticky. I added an extra 1/2 cup bread flour and dough was still too sticky to roll into balls. Any suggestions? Just add enough flour until the dough is manageable. Your weather, humidity etc. can effect things. How many packets of yeast equals 2 Tbsp yeast? Thanks! Deborah – Two packets is about 2 Tbsp. Thanks so much for this recipe! I love making homemade rolls but don’t always have time. These were a big hit! These look delicious. I was wondering what kind of oil was used for these rolls. I’m not sure if it really matters, but was curious to know if one is better than another. Thank you! I usually use vegetable or canola. Canola more frequently. I make them with Olive oil, and it works great! These are AMAZING!!! Made them several times now. Was wondering if the dough could be frozen? If so, at what stage and would you thaw them before baking or just put them straight into the oven? I want to take them on a retreat and it would be nice to have the dough made up ahead of time. Laura, I would definitely thaw them before baking. Freeze them before they rise and then let them thaw and rise before baking. Do you have this recipe in grams/ml? I want to make this recipe but I’m struggling with converting the cups to grams. Sorry I don’t. I bet there is a website that will convert it for you. My buns turned out really heavy, why is that? Try letting them rise a bit more next time and see if that helps. I made these yesterday and these were awesome. They are quick and easy. I used 2 packages of yeast, and all purpose flour made 12 rolls and they turned out great. This is my new go to roll recipe. So glad you enjoyed them. Be careful because you just might find yourself making them all the time!!! I made these today, exact to your instructions, and they were bland and dense. I was quite disappointed. I will not be making them, according to this recipe alone, again. The recipe should have more salt and sugar to enhance the flavor. I do, however, enjoy your blog and look forward to future posts. I wanted to make your rolls but wasn’t sure if I should use rapid rise yeast or active dry. Does it matter?? I use regular active dry but you could also use rapid rise. either will work. Omg I can’t believe how awesome and easy this is! I made a stew and wanted some fresh bread. Found this and I’m so glad I did! Thank you! So glad you enjoyed it! They can become quite addicting because they are so easy to make. 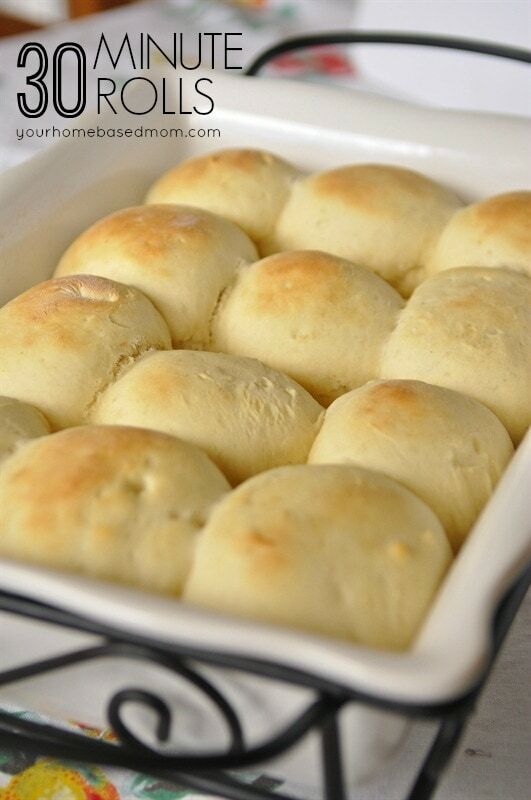 I love these rolls and they are so easy when you want fresh bread with dinner. I used the 2Tbsp as recommended instead of the 2.5tsp for a packet of yeast and am amazed at the size of my rolls after they have baked! I get 20 3×4 baked rolls from this reciepe (I place them in my 10×15 glass pan). For a family of six these rolls go far and are delicious! Thank you for posting. Just tried these…thye turned out very heavy ??? had to cook about 18 mins for them to b done….any suggestions? 240 ml or cc equals one cup. Ever tried making the dough in a bread machine? I have not made it in a bread machine. I have used my bread machine to mix the dough all three times I have used this recipe. They have turned out great each time. Tonight I made a double batch and made one set into rolls and the other into bread. Both were wonderful. Although, I did let the bread bake longer. Hi – Do you have a whole wheat version of these rolls? Thanks! I don’t but I think I might try half white/half wheat first and see of that works and then give all whole wheat a try! Let me know if you try it. I have made these at least a dozen times in the last 2 months. I have tried all white whole wheat, and half WW. The all WW ones turned out too dense, but the ones that were only half my family didn’t even know. I LOVE these rolls! They are perfect right out of the oven brushed with a little buter and topped with some salt from my salt grater. Help! I made these rolls and they tasted ok BUT they were heavy and didnt rise or spread and i had to add 5 minutes to baking time. What did I do wrong? I could play baseball with these babies! If they didn’t rise it may have been the temperature of your water – it might have been too hot and killed the yeast or not warm enough to activate the yeast. I have made these rolls so many times now, I almost have the recipe memorized lol. That’s how much my family love them. I had to make 2 batches tonight and I made one with bread flour and one with ap flour both turned out delicious! Thanks so so much for sharing this amazing recipe. you know it’s a good one when you’ve got it memorized! Love it. So glad your family enjoys the recipe so much. Has anyone tried these in the dough cycle of the bread machine? I haven’t tried it. Don’t have a bread machine but I have to think it would work. OK, here’s what I did. I mixed it in the bread machine but when I saw the dough cycle was an hour and a half I thought that was too long for the recipe. I took the dough out when it was smooth which was probably about 10 minutes. It was still easier than getting my big, heavy Kitchenaid with the dough hook out. Made a few rolls and let them rest about 30 minutes before baking. They were delish. The rest of the dough I made into small balls, put on a cookie sheet and am freezing. I have a yummy sweet roll recipe which calls for a package for frozen yeast rolls so I am experimenting to see if this works. When they are frozen I will put them in a ziplock bag and try them later in the recipe. Thanks so much for sharing how you did it in the bread machine! So glad you loved them!! Hope you will continue to enjoy them as much as we do. I LOVE this recipe! It is best with bread flour, but I now will sub 1/3 with white whole wheat. It is great to get home and make up fresh hot yeast rolls with very little effort or time. I make these at least once a week when I get home from work. I love to brush them with melted butter and sprinkle with sea salt. Yummy! thank you for letting me know you enjoyed the recipe. Always love to hear that!! I seldom get to eat bread any more I’m gluten intolerant, and the gluten free bread is $5.00 per loaf and there’s only about 12 slices in the bag. This roll recipe is a heaven sent, because it is a time saver, LOL, I can do these about 2 x per week, but can I use gluten free baking mix in this recipe? I have never tried to make it gluten free but I should! My college daughter is gluten free. next time she is home I’ll try it. If you give it a try, let me know! O.k. I needed hamburger buns and didn’t have any on hand. I flattened about a 1/4 cup of dough in a mini springform pan slapped a cooked hamburger on it and squashed another 1/4 cup of dough on top of that. Put it in the oven for 20 ish minutes and we had hamburgers in the buns. The kids loved em. Thanks for the great and versatile roll recipe. Love how you made them into hamburger buns! Great tip – thanks! i have regular yeast, not rapid, do i increase the amount of yeast by 1 tea. per tabl. spoon, and also wld. olive oil work, and if i leave the egg out what wld. the effect be – thanks. Found this whilst looking for something to put homemade burgers into – worked very welll! However as noted by other posters, the dough was very sticky. I checked this out and whilst the metric “cup” I used (in the UK) is close to the US imperial “cup” it is different enough (20g/cup) to mean that roughly an extra half a cup of flour should be used if you are using a metric cup (UK/Europe). HTH! So glad you liked the recipe – I’ll have to try it with no eggs next time! I just made these. Amazing! I followed the directions exactly using coconut oil (Instead of the standard vegetable oil.) So good!! I got 15 rolls out of this recipe. Exactly as is, but not using a mixer, I might add. I just stirred everything with a spoon, and then kneaded in the same bowl for about a minute. Oh my goodness, I can’t believe how easy these are! Can’t wait to try them out. Okay what did I wrong? I used 1/2 whole white wheat and 1/2 AP. All looked normal until the 10 min rest of the rolls in the pan. They didn’t rise much and after baking they looked more like a dumpling than your picture! They were heavy and just didn’t taste right. Any ideas what I did wrong? The recipe calls for all – all purpose flour. I have never made it with whole wheat so I am assuming that may be the problem. Thank you so much for posting this recipe. I am currently making this recipe for the first time. I like how quick the recipe is. I have a 2 year old and a 2 month old, so I don’t have a ton of time on my hands to use more time consuming recipes. On a side note, do you think this recipe will work with whole wheat flour? What gas mark is 400 degrees? I tried it on gas mark 6 and I think it worked. Good recipe though. I made these for a birthday dinner because I forgot to buy rolls. They turned out really well, even though I forgot to add the egg. We liked them so much that after dinner I made a batch for the next day’s breakfast. This time I remembered the egg, but we decided they were lighter and tasted better without it. I will probably add a bit more salt the next time because if you have them without butter they are a little bland. Rising now, if these are good I might try to stand on my head (I am 58 so you would know I’m excited)! Hi, I just made this recipe. I used all purpose flour. And knead by hand. Only the buns on the edge bake well. The rest were not done! I let them bake for 10 more minutes and that did not help! 🙁 I used a disposable aluminum pan. The flavor and the texture were great on the buns that bake well. Hi Yall! I just made these last night. They tasted great and were easy to make. UNFORTUNATELY, They tasted like biscuits. I loved it but they were too thick for my family. Also, the dough was so very sticky. I’m not a big baker but I’m trying to be. Does the bread flour come out more soft? I make these all the time. I do end up cooking them at least ten minutes longer than the recipe states. I use glass baking dishes. And I use bread flour for these. I read that bread for has more gluten which makes them rise more. Try this recipe again using bread flour and a thick baking dish. I made these for xmas dinner. Way to dense for my taste. I like a light and fluffy roll. I bet they will be good for bis and gravy in the morning. Thank you so much for this recipe! My family absolutely love them and I now make them quite often. It will definitely be a keeper and be passed down to my family and friends. I am going to try to make a loaf of bread next out of this recipe because they are so soft and fluffy. Oh I forgot to mention that I pinched mine off into 8 rolls and they come out as big as large hamburger buns and they still are done in 10 minutes in my oven set to 400F. Nice and golden brown. Try using buttermilk in place of the water. Milk makes a more tender crumb and since these do not need a high rise like bread buttermilk works great. Also add a pinch of nutmeg really good. Thanks for the tip on the buttermilk – will give it a try! sorry if I seem thick but does ‘C’ mean cups? Also (English), do you know 400F in degrees C? They look great. Can’t wait to get cracking. 400F is about 201C – so set your temperature to 200C and bake them. Be sure to watch them the last few minutes of TIMED baking as each oven is a little different – especially if its a warm air oven like mine. I often bake for time less than is called for in a recipe. This recipe worked great!!! I took the rolls and tied them in knots, they looked so pretty! The taste in amazing!!! I also let them rise by preheating the oven to 170 and they were huge!!! Like as big as soft balls. They were so fluffy, I recommend trying this to have fluffy rolls!!!!! I wante to say thank you for sharing this recipes, i made them yesterday and they turned out great. And we are making more today for dinner. I had sofar no problems. Sorry first time cook here! What kind of yeast?- I see so many different kinds. Instant, cake yeast….I just don’t want to mess up using the wrong kind! Just use regular dry active yeast. Leigh, Is that 1 or 2 packages of yeast…or, do you open the packages and measure tablespoons? Thanks. I buy my yeast in bulk so if you are using packages of yeast you will need to measure it by the tablespoon. These rolls are great! I’ve made them a few times now and mine always take 15 minutes to bake. This time I doubled the recipe and ended up with 32 rolls. I used 3 cups bread flour, 1 cup flaxseed meal, and 2.5 cups white whole wheat flour. I didn’t need that last cup of flour. My husband thought this last batch was better than the ones with just bread flour. This is definitely a keeper. Thanks! I tried to make these last night (sans mixer since I’m a broke college student) but the dough didn’t turn out the right consistency. Instead of being something I could shape into balls, it was almost like a cross between sticky break dough and a somewhat thick batter (leaning towards the batter end). In order to get the right consistency I added more flour but then they didn’t bake all the way through. Any ideas on how I can remedy this? This is a heavier dough and would be harder to do by hand rather than a mixer. Altitude does affect things also. I am cooking and baking at sea level! Wonder if you could freeze the dough before you let it rise? There’s only 2 of us so I would not need to cook that many at one time! I’ve used this recipe many times. Tonight I am trying something new. I added some garlic to the recipe and I’m making braided garlic bread. It’s looking pretty good! Is it better to grease the pan with shortening or butter? I used butter instead of oil, very good!! I have been making these for my family for about 6 months and we love them! I make them smaller and get 24 rolls from the batch. However, we have been trying our best to eat clean so I made some variations to the original recipe and it worked!!! I use white whole wheat flour made by King Arthur flour, honey in place of sugar and coconut oil instead of oil. I also turned the oven down to 375 degrees!! Huge success and score! Perhaps your water temperature was too warm for the yeast so they didn’t rise – use tepid/luke warm water – and as for your mixer, do it by hand! Make a large, rounded mound of flour (say 12 – 15 inches wide) with an indentation in the middle like a lake – add your premixed first ingredients and hand mix and knead from the outside in. Remember to keep a little extra flour to the side to coat your hands so the dough doesn’t stick when you roll your rolls. I am going to make this recipe in the morning, and wrap it around cheese filled sausages, for a breakfast sausage roll. I made the rolls once, and they are very good. I cant even express the love I have for these rolls. They are “THE ROLLS” I have looked and looked to find for YRS. It’s simple the best. Thank you SO much! Yeah – so glad!! Don’t you love it when that happens. Great recipe, so easy! Found them to be too sweet for us though, so I now use half the sugar and half the yeast (I use instant yeast) and they still turn out great :). I let them rise a few minutes longer just to be safe :). But so far they have been great, easy and my family devours them every time. Thanks for sharing! What would happen if I made the dough earlier & then baked them a few hours later? Would they rise too much? They may overrise – you could probably let them raise an hour but two hours may cause them to overrise. Can you please tell me the difference in active dry yeast and the small packets of yeast? Love your site! They are the same thing – the small packets of yeast are active dry yeast. Do you know what is the equivalent for ounces to tbsp is? The packets say 1.5 ounces. I found online that is 3.33 tbsp, but measured out it isn’t even 1 tbsp. Thanks from a wife new to baking. 🙂 The first time I made it I used one packet and it seemed to turn out ok, but didn’t rise as much as I had hoped. One packet is equal to 2 1/4 tsp. I have tried it but I think it should be fine. Question for you. In the instructions it says to combine the water, oil, yeast, and sugar and allow it to rest 15 minutes. Do you actually mix the ingredients together or just add all of them to the bowl then let rest? I want to try these, but want to get it right. Thanks! Did you try adding some extra flour to it? Thanks for the recipe, am home sick and craved fresh bread. These hit the spot. I had only a hand mixer, but used just one egg beater, on the theory it wouldn’t shred the gluten strands like two would. Don’t know if that’s a legit concept, but it seemed to work. Stirred it with a spatula, but the no-knead recipes have spoiled me, and I did no hand kneading. A little sweet, but yummy. I love how easy this recipe is, a keeper for sure. Added a little extra flour to it, about half cup more, just because my dough was very wet. My oven is very efficient so I think next time I will bake it at 350 or 375. Perfect and easy to make. I have found that depending on your weather, etc. you may need to add extra flour to the recipe. Glad it worked well for you. We made these today for thanksgiving in Nepal in a toaster oven and they turned out perfectly and tasted great!!! thank you so much! We made these today for our Thanksgiving meal in Asia, in a toaster oven and they turned out perfectly and tasted great!!! thank you so much! This sounds perfect! We are a gluten free family so I have a GF flour mix that I use that has worked perfectly for cinnamon rolls & pancakes. Are there any specifics you can think of for yeasts to ensure these rise for me (since I’m not using regular flour)? Please let me know how these work with gluten free flour. My daughter is gluten free and I’ve never tried making these rolls gluten free. These are the easiest and best quick yeast rolls I’ve ever made or tasted. I used all purpose flour and the dough was just a bit sticky, but, I oiled my hands with vegetable oil and had no problems forming the rolls. I had to bake them for 20 minutes in a greased glass dish as I live at 4800 feet above sea level. Wow! These are terrific. Thank you so much. The temperature is 5c outside and I felt like having warm bread. Literally took me 40 minutes. They came out awesome. I infused them with some fresh Mediterranean herbs as I live in the middle east. Used them for dipping in olive oil. Thanks a lot for the wonderful recipe!! I have made these multiple times and they have turned out every single time. They are a great roll that is easy to add to any dinner. I have used all purpose flour as well as a mix of whole wheat and white flour (1 c wheat 2.5 c white). It can probably handle more wheat flour but I never want to add too much to prevent it from being too dense and not rising. My husband can eat a whole pan of these in one sitting. In a nut shell: Great tasting, reliable and easy. Thanks for letting me know how much you enjoy them! I love hearing that. I pinned this a while back and finally got around to making them…and I’m delighted with the results…so easy and turn out brilliant! Thanks so much for this recipe :-). 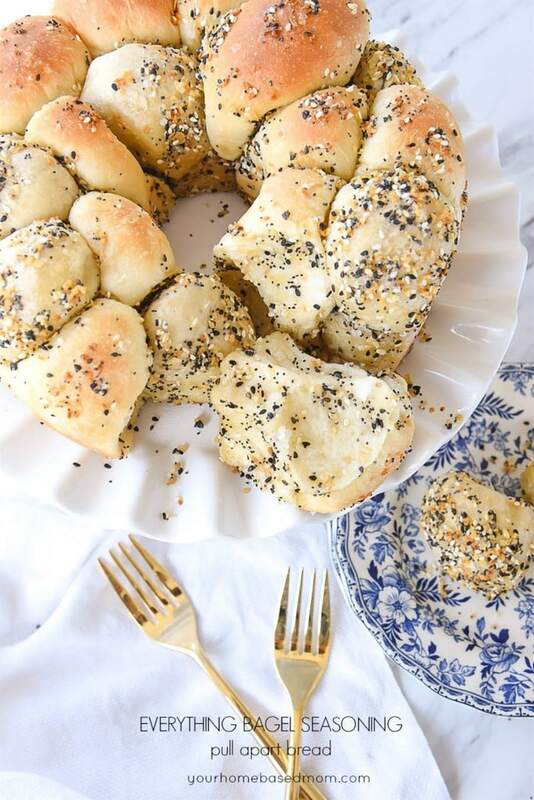 I left mine to rise for about 30 minutes once in the tray because I wanted lighter rolls and I also brushed milk on top and sprinkled poppy seeds to get a more golden top. I’m making these now and had to add an extra 10 min to bake them. I hope that helps, if not I’ll keep adding time I guess. Made these with dinner tonight they were a big Hit! I will be making these again and again. Thank you for the awesome recipe!!! Hope you will try them again. My son lived in Santiago for two years! I made these following your directions exactly, & they were Heaven. I have made pepperoni rolls with this recipe, pizza crust, hot dog buns….& still loving it! So glad you enjoyed them. 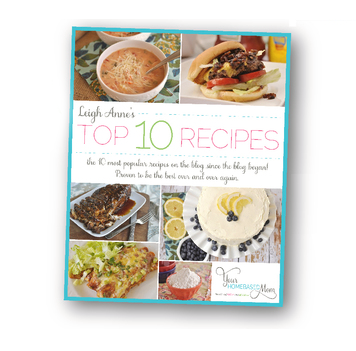 Love all the things you have made with the recipe! I thought 60 minute rolls were a find, but now 30 minute ones! And delicious. Thank you, thank you! Oh phew! I forgot where I saw these and thank goodness I found them again! They look so yummy! Just had these tonight and we loved them! DO expect to add extra flour, as they come out very wet otherwise and DO use a glass pan, as someone suggested, and DO expect them to take 20 min. instead of 10 to bake. But they are extremely good. We liked the texture that was a cross between a roll and a biscuit. I’ve rarely seen a roll or a biscuit I didn’t like, so it’s all good here. Sounds like you made a good thing out of the mess up! Glad you liked them. I love rolls on any holiday table! I would be thrilled if you would hop over to my Easter/Passover Recipe Roundup and share this awesome recipe with us! You can find it here:http://mommasangelbaby.com/?p=2132. Hope to see you there! HUGS & Happy Easter! I was so skeptical as I thought there is NO WAY homemade rolls/bread could taste great and turn out in just 30 minutes. Well I was soooo wrong!!! These taste BETTER Than the rolls I make that take half a day! I am so excited about these. I’m going to tell everyone! So glad you loved them too!! Thanks for sharing with your friends. So glad they were a big hit! I have a sample 1/4 oz. pkg. of Platinum superior baking yeast that recommends you use half the flour your recipe calls for. What would you suggest I do? I am thinking of just using the whole pkg., but would hate to waste all that flour if t doesn’t work. :/ Thank you! I have never worked with that kind of yeast so I am not sure, sorry. This recipe does use more yeast than a normal bread recipe so that it speeds up the rising time. I’ve just made these and they did work out really well except that I find them far too sweet. It might be that Australian bread is less sweet so we’re not used to it but I was wondering whether you think they would work with less sugar? So glad you liked the recipe – love your twist to it. We tried these tonight using Domata Gluten Free All Purpose Flour. Me and our 4 year old daughter have celiac disease. They turned out great!!! They took about 5 extra minutes for us to bake but they were amazing with some home canned beef stew for a quick lazy but good Sunday dinner. Definitely saving this recipe and can actually see making it multiple times a week, and it will definitely be used for holiday meals! Made these last night, first time ever making bread. Was a success! The kids at my school loved them. I used whole wheat bread flour. can you freeze at anytime either before after cooking ? 12 is too much for some meals. I have never frozen them but you could freeze before or after baking and then just thaw and either bake or warm. I would just mix it with a wooden spoon until I can’t stir any more and then use my hands. Sue, I haven’t made them gluten free but I would just try substituting your favorite gluten free flour mix for the flour and give it a try. I freeze them frequently. Just bake as usual (maybe slightly under) and freeze. These are my “go-to” rolls for a normal weeknight. I do not buy any frozen rolls anymore! The changes that I make are to ALWAYS use bread flour (sometimes halved with white whole wheat), milk instead of water, and butter instead of oil. The change of milk and butter makes them taste VERY similar to the rolls that take me 3 hours to make! I also will usually make them into 24 tiny rolls because then we tend to eat less! Just got done making my second batch of these. They are so good! A million times better than the super complicated, 3-hour-rise recipe I was using. These are perfect every time! Kirsten, Love that you love them!!! One packet of yeast is 2 1/4 tsp. 1 packet = 2¼ tsp. 2 Tbsp = 6 tsp. Therefore, you need 2 whole packets PLUS 1½ tsp. out of a third packet. I used a full 3 packs and they came out beautifully and tasted delicious. Made these for Sunday dinner-outstanding!! This recipe is easier to follow than the original, too, thank you! Mary-Beth, so good to hear they were a hit at your house! Can these be made gluten free with any GF flour blend and turn out as well? We need GF, DF, EF (although butter is okay). Thanks! 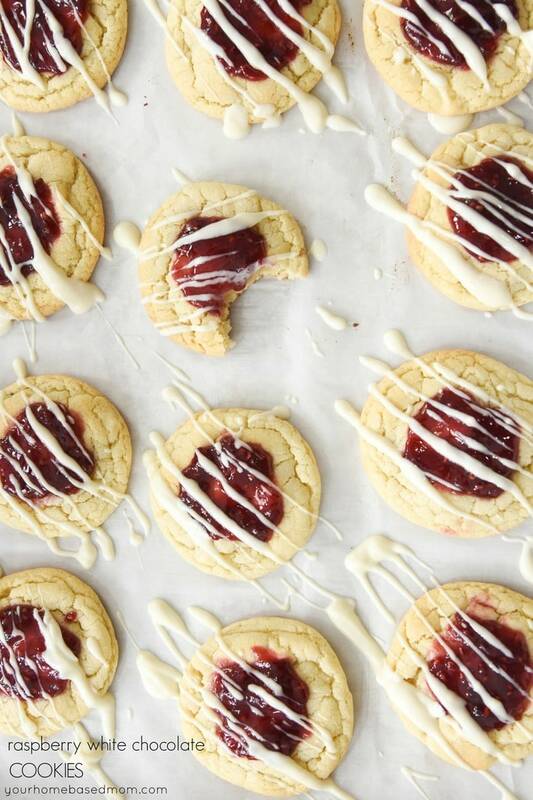 Maybe a silly question, but can you make these without a mixer? Sure – it is just more work! Wow! That’s what I said when I took the first bite. Soft as a cloud and delicious! I love this recipe (my girls ate two in a row each) . Definitely a keeper! I just subscribed today and tried it and it was a hit. Will try other recipies for sure. Thank you! Glad you all loved the rolls – hope you’ll try lots of other recipes too! Hi there, tried this recipe tonight, but the rolls came out heavy. Followed the recipe exactly but don’t know where I went wrong. Any advice? What does 1 C plus 2 Tbsp warm water mean? It’s 1 c of what? Monica, It means you need 1 Cup AND 2 Tbsp warm water. I’m not much of a bread maker but I too don’t have a machine, so how do I go about it to knead the dough? On a board or bowl, for how long. Or is there a site with step by step instructions to include video or pictures. I can’t wait to do these but I don’t have dry yeast , how can I make them with instant yeast instead ? How much instant dry yeast would you use compared to active dry yeast. If 2 1/4 tsp. instant dry yeast = 1 envelope highly active dry yeast and this recipe calls for 2 Tbsp. Do you recommend measure for measure or something else? Gigi, I would just use measure for measure. A friend gave me the recipe years ago and called them “Batter Buns”. These are really good. Thanks for passing the recipe on! Is it necessary to activate the dry yeast before adding it or can the granuales be added directly? These rolls look really good. I have two questions. How many minutes should you mix dough and can you substitute butter for oil? Thanks! You mix until just incorporated and then knead “Knead with hook until will incorporated and dough is soft and smooth. (Just a few minutes)” I have never substituted butter for oil. Wondering what I did wrong…I thought I followed the directions exactly (including using bread flour) and the rolls turned out heavy and barely changed size in the oven…weren’t big enough to touch each other, as the ones in the picture do. Yeast is new-ish, I used dough hook for a few minutes, although after about 4-5 min the dough still didn’t look smooth…I just went ahead with the recipe at that point. I’ve made yeast bread/rolls before, and the dough I made today wasn’t as light as what I’ve made before. Any thoughts? These are fabulous! I will be tripling the recipe and making a couple batches for the freezer. Thank you! Could you use a high qaulity gluten free flour instead of all purpose flour? I have tried it with my gluten free flour mix and didn’t love the results but it may be worth trying with your mix. Has anyone tried to make these egg free (we have an egg allergy in the house) using a replacer? Thanks! Yes! I didn’t have any eggs so I Googled egg substitutes and found you can replace it with 1Tbsp vinegar (white or apple cider–I used apple cider) and 1 tsp baking soda. I mixed them together (careful, the vinegar WILL react to the baking soda!) and poured it in and my rolls came out great. My hubs ate 4! Love that! Good to know. Tried these tonight in preparation for Thanksgiving. Epic fail. A friend of mine gave me instructions on how to make last year and I made them perfectly. I lost the recipe and found this version online. Everyone seems to be having success but my dough came out like paste. It clung to my fingers like a Chinese finger trap. I added more flour and it didn’t help. Will have to skip them this year. These are fabulous! I have tried lots of other rolls but up to now these are my absolute favorite go to recipe. I also wanted to add for anyone curious that I made these today with white whole wheat flour (instead of bread flour) and raw honey (in place of sugar) and they were just as good! I subbed equal amounts of flour and honey, although I ended up having to add a bit more flour as the honey was of course more liquid than sugar would have been. Love that you loved them! 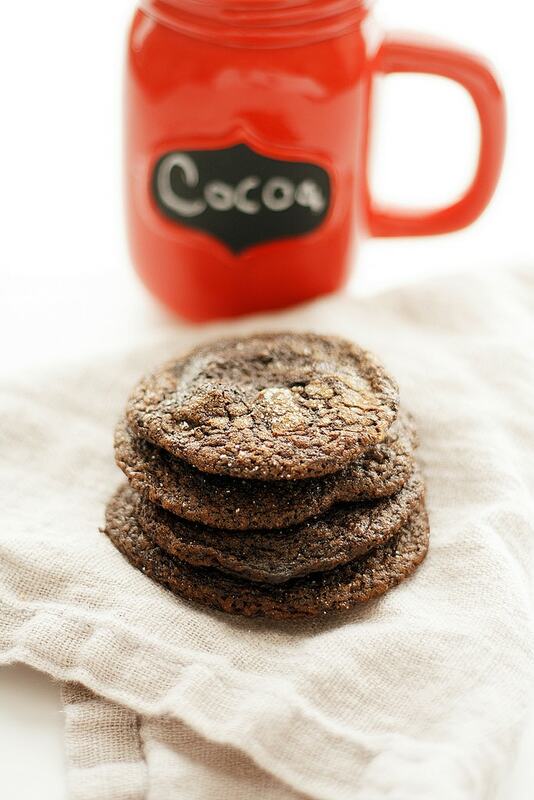 I haven’t tried them with whole wheat flour yet but now I’m going to! I tried using the flour mix with this recipe and didn’t like it. Can these rolls be made in a plastic zip lock bag like the bread recipe? Last night I was making these and my husband decided that he wanted bread… Long story short you can put in loaf pan for final rise and it makes a fantastic flaky bread!!!! Love this recipe. Good to know! Glad you enjoyed the recipe. I just finished making these and everyone loved them. So quick easy and most importantly yummy. They were so soft and light. The only thing I did differently was letting it rise and extra 10 mins. I can’t thank you enough, I have found my new go to bread recipe. I like letting them rise a little longer too – makes them lighter. So glad you enjoyed them. I misread the recipe and only used 1 packet of rr yeast; the rolls still rose quite well and tasted delicious! Thanks for this quick, easy and tasty recipe. Marry me! No seriously… marry me. I made a crockpot roast today and had about 30 minutes left when I realized ACK, I want some rolls with this! Too rainy and cold to send husband to store so I found this recipe and OMG I LOVE THEM. I will never again knead and let rise, taking hours to make homemade rolls. These are delicious!! I brushed on a little melted butter and sprinkle garlic on before baking…. I’m already thinking about the next batch with maybe some honey butter. Thanks Leigh Anne for some cool bread rolls. This is my go-to recipe for dinner rolls. We use them for hamburger sliders on a regular basis as the texture and size are perfect to hold up to burgers and toppings. Because I have made them several times (as listed) I’ve found that I need to make a few adjustments to the original recipe. First, I always double it – 12 is just not enough for my family of 6! However, I always make each recipe separately, rather double it in one bowl (my mixer isn’t large enough). Secondly, I always use all-purpose flour (that is what I have on hand) and I always end up adding an additional 1/4 cup of flour to the mixer. It’s just too sticky and won’t hold it’s shape well enough other wise. I don’t know if it would be different if I used bread flour as I’ve never tried. Third, I brush the tops with an egg wash to give them a better color on the top. Lastly, I have adjusted the cooking time. At 10 minutes my rolls are still doughy in the middle and not golden on top – they really need more like 15-17 minutes, but then they are almost too dry. Today I am trying to cook them at 375 for 15-20 to see if they turn out better. Thanks for sharing this fabulous recipe! Mary, SO glad you enjoyed it! I discovered this recipe today and just barely had enough bread flour so I added a small amount of AP flour. After kneading for several minutes, the dough was still very sticky and I had to add additional all-purpose flour. I believe I added a cup of flour to make it work. I noticed that some allowed the rolls additional rise time. I will make several adjustments in the future. I was pleasantly surprised of the outcome. I have been making these at least twice a month lately. My family loves them! I use all whole wheat flour instead of bread flour, coconut oil instead of vegetable oil, and honey instead of sugar. They come out perfect everytime. Thanks so much for a great recipe! Have you done these gluten free? I have tried a few times but have not had success yet with a gluten free version. Can I make these on Saturday and keep dough in fridge to bake on Sunday. Barbara, I haven’t done that but I am sure it should work. 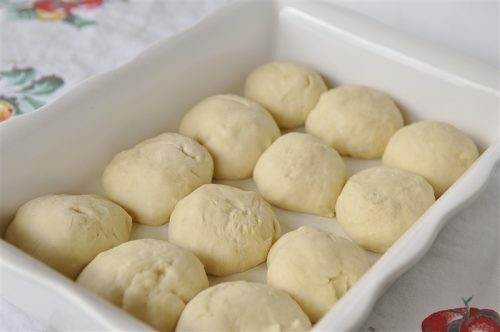 You will just want to let the dough warm up and rise some before baking. 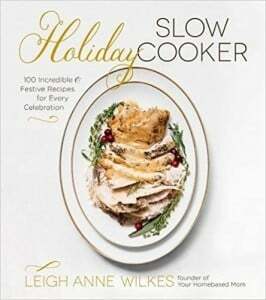 Leigh Anne, I saw where someone mentioned substituting milk for the water and butter for the oil. I was wondering if you had personally tried this. If so, did you like it as well as your original recipe? I did them with gluten free flour and it was a success!! I am so glad! Which gluten free flour did you use? Manny I’m Gluten free and would love to hear what flour recipe you used, I can’t wait to try them. Made these today to go with soup and they were so good! I used melted butter, which I mixed in with the rest of the ingredients so the heat wouldn’t kill the yeast (I also used 5T, which is a tad less than 1/3c). I used 1/4c honey, 3c white wheat flour, and 1/2c cornmeal. While kneading, I had to add a bit more flour so it wasn’t sticky; probably because I used a wet sweetener as opposed to granulated sugar. I ended up baking them for about 5 more minutes; they were still someone light on top, but perfect inside. Will definitely be making these again! I like the idea of adding herbs and cheese, like in your other recipe, but I’m thinking the plain is more versatile – they can also be eaten with jam or whatever. love these.Will make them again. I made these for the first time tonight — and while they were good, I feel like they were supposed to turn out differently. Is it true you are using 2 tablespoons of yeast? I use 1/2 that to make 2 batches of pizza dough so it seems like a lot. I used AP flour bc I didn’t have bread flour and it came out very sticky. I wasn’t able to make balls like you show — not sure if that’s a yeast issue or flour issue. With that said, they were good and I hope to try again with them soon — maybe I’ll add additional flour like other posters mentioned. Chrysti, The yeast amount is correct, that is what helps them to raise so fast. 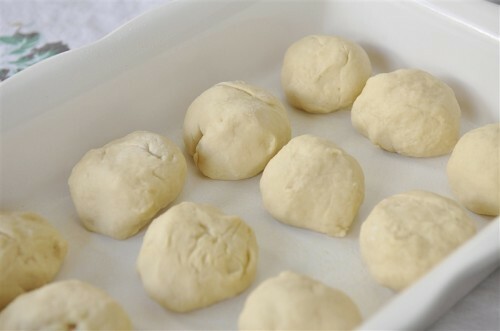 If you find the dough is too sticky, just add more flour until it is workable. Your altitude and humidity etc. can affect it. going to try your famous yeast rolls today,June 13th , 2015. and I can’t wait. Have a Blessed Day and thank you. drop me a line whenever possible thanks again. I suddenly got the urge to bake and decided to test a gruyere and caramelized onion roll using this recipe. I think they’d be better with a pizza dough instead, but they were still delicious and these rolls were great! Just what I needed for random 5 AM baking! Baked these rolls last night. Loved them. Shared with another family and they loved them, too. I’m thinking that some of the differences in how much flour to use has to do with altitude. I’m at 6500 feet now and have changed my baking recipes to use more flour. Perfect and light as a feather. I’m quite excited with this success! Thank you!!! Thanks Desiree!! They are so easy and delicious! Thank you for sharing! I love that they don’t take up so much time and taste amazing! I had to use a little more flour because I couldn’t work with dough once I stopped mixing it. Anna, Glad they worked well for you! Love, Love hearing that. Good to know it works for cinnamon rolls too! Nothing beats homemade rolls/bread!! I made these for the first time and succeeded 🙂 I was wondering though how to make them fluffier and bigger like a bun instead of a biscuit. I had to bake them a bit longer than the recipe said as they had no color after 10 minutes but then the bottoms got darker than I would of liked. Any tips? I love these rolls. They’re very similar to some my mother used to make when I was growing up. After a little experimentation, here are a couple of things I’ve learned. First, if you substitute 1½ tablespoons of rapid rise yeast (or bread machine yeast) for the 2 tablespoons of regular yeast, you don’t have to let it rest (proof) 15 minutes at the start. Also, the first time I made these, they got a beautiful golden brown on the outside, but weren’t quite done on the inside. So the next time I lowered the temperature to 350ºF and increased my cooking time to 18 minutes and they came out perfect. The increase in cooking time was more than offset by the reduction in resting time. I was really skeptical because my rolls didn’t quite look like yours after rising for 10 minutes but I baked them anyway and voila! Beautiful, light and delicious! Definitely a keeper! I love these rolls so much! I’ve been using this recipe for a little over a year now, and the possibilities are endless. I use milk instead of water and it lends such a nice touch of sweetness to them. I’ve also added a little bit of garlic powder and some dried basil to the recipe and it was wonderful. And of course I used this recipe last Christmas to make cinnamon rolls. I’ve never been great at bread making, but this has become my go to recipe. So fast and easy, you can’t beat it! Bran, I love that you love it and I especially love all the fun variations you have come up with!! What if you do not have a paddle? Can you mix with your hands? Tried sample batch tonight to see if they would work for Christmas dinner and they were really good but a little on the heavy side. Like another poster said I’m going to make a little smaller and let rise a little longer. One question though should I use rapid rise or regular yeast? This is very similar to a recipe that my mom got from a friend in Utah after she was married 51 years ago. She uses milk instead of water. Mine are in the oven right now. Can’t wait. It’s my trial run for Christmas dinner. I made these rolls for the family Christmas dinner. They were a huge hit. We used the few leftover rolls for breakfast the morning after Christmas with leftover ham. My family loved them so much they asked that I add this recipe to my collection of bread recipes. And I plan to! How long do you mix the dough? Mine never got so that I could make the dough into balls. I’m baking it right now as a loaf and I hope that comes out! I’m not an experienced baker, obviously! What would you suggest I do? My new go to for rolls. Moist and not dry. Granted I let mine rise a tad longer for more fluff but supper delish. It takes me a little more than 30 min because I reference the recipe a lot, not memorized yet. Perfect recipe – used cake flour. Best rolls ever. So soft and tastes AWESOME. Christeleen, Glad you loved them too. I’m going to have to try them with cake flour next time. I’m going to try these tonight ~ will use a.p. flour but for future do think could use the lower gluten flour! Einkorn flour? I’m not eating bread right now but when I can again (dieting) I’d like to try and do gluten free or lower gluten if possible ~ just been discovering what my issues are and white flour is definately one of them, ~ yikes! Thank you so much for this recipe. It’s quite yummy, however, can you tell me have you ever made these using just all purpose flour? I followed this recipe using just all-purpose since that is all I had and the dough did turn out quite wet and sticky. I had to add almost 1.5 cups more of flour, I think…maybe 2! And even then I had to sprinkle flour on the dough just so I could hold it and form it into balls to go into the pan. Any helpful hints? Otherwise, I really like your recipe. Do you think bread flour really makes a huge difference? I decided to give these a try…so glad I did! These came out wonderful, my hubby gobbled them up and it was quick as well as easy to follow. I will for sure try them again. I’ve been making these for years and they are fabulous! Does anyone know the calories per roll? I’m not willing to give up my favorite dinner roll but I need to add it to my daily calorie tracker! I made these tonight to accompany a sirloin roast. I do not have a stand mixer and figured I could do them by hand. The dough was Super sticky, I added so much additional flour to the point I was afraid they would not rise at all; and the dough was still sticky. So I cut the dough into 12 separate pieces and had to roll each piece in flour to keep from sticking to my hands. I threw them in the pan, crossed my fingers and prayed for the best. The rolls did not rise much initially but did rise a bunch while baking. I wound up having to bake for 20 minutes since after 10 the rolls were still quite pale and doughy, by this time I was almost certain they were going to be an epic fail. Much to my surprise they were Fantastic! My oldest daughter even said they were the best rolls I’ve ever made. 🙂 I am so glad I did not give up. Thank you for sharing, I will definitely be making these again and hopefully next time goes smoothly. Thank you for sharing such a simpl, quick, and yummy recipe. We make these all the time. I’m happy to seevothers have had success with whole wheat flower and honey. We will try that next. Tonight we’ve added various herbs and garlic. The recipe makes more than enough for our family of 4, but the neighbors are always happy when I over a pan for them to bake. I do a similar dough but with instant (fine) yeast that can be bought in half kg packs and keeps in the fridge for ages. Usually use 1 tsp per cup of bread flour. (Bread flour here is courser than in N. Am.) Just mix it all up at one time, and I have a hand mixer for kneading. Similar recipe, otherwise. Have you ever tried adding a bit more sugar and wrapping each piece of dough around some pieces of chocolate? (Just don’t burn your tongue eating them too hot because the chocolate rolls smell so good!) A dusting of powdered sugar or a bit of thin water-powdered sugar icing and you have a dessert roll. Sometimes I beat soft butter in, instead of using any oil, after the other ingrediants are mixed but still to be kneaded. Yes, I agree with the person who said they do sweet rolls similarly. This is similar to Finnish Puula dough, and ground cardamom makes a nice addition if you are making sweet rolls. Sorry, I don’t have any experience with working with sourdough starter. I first made these a few years ago when I forgot I was supposed to bring fresh rolls to a dinner party. They were a huge hit and I have been making them ever since. This dough makes yummy cinnamon rolls, too! Just ran across this recipe and read all the comments. Planning to give it a try within the next couple of days. Will go with white bread flour the first time and then want to try it with whole wheat bread flour. I’ve been using a bread machine for about 20 years so have these items on hand. Also used to adjusting for altitude as we are at about 4700 feet above sea level and in a very dry area. I don’t think they taste overly yeasty but everyone’s taste is different. Debbie you don’t notice the yeast in it. They are just heavenly and soft. I made them twice…..They’re wonderful homemade bread. And so soft. I just made them this morning and ooooooohhohohoh, they were sooo good. It was the first time en they were so easy and fast to make. They also were very soft. Thank you very much for this easy recipee. I was making a Challah bread this morning, but that took some time and we had to eat, so I tried these 30 minute rolls of yours. Perfect. So the Challah is for tonight. That was also my first Challah, and it looks great too. I was in a happy baking mood this morning. Layla, I love hearing that! So glad it was a success and now you’ve got me craving them!! Just made them again today, a double batch. I only tried a slight change: 2 1/4 cup all purpose flour (we don’t have bread flour here) and 1 1/4 cup whole wheat flour. They came out very good and oh so soft. This is one of our favourites. Love you for giving this recipee. Made them last night, oh they are delicious and I can’t believe how easy they were to make! First time making rolls and using the yeast, I am impressed! Thanks for the recipe. I have posted this on my fb page already, will be making these again for Thanksgiving and Christmas! These rolls are the easiest and best rolls I have ever made! We had company this past week, two hungry men, that were old friends of my husband. I made these twice. They raved about them and wanted the recipe. Thanks so much for a fantastic recipe that I will keep forever!! This is really amazing tip to make rolls. I use them and they are more tasty than market one. I am very thankful to you for sharing this informative blog. What if you don’t have a dough hook? Rebecca, You can always just do it by hand. I was wondering if less sugar could be used. I really don’t like sweet breads. Maybe an eighth cup? Sami, You can always try adding less sugar if you’d like. We would love to do the hundred dresses theme for our fall relief society party this November and I was wondering if you could share the reader’s theater with me. Or, could you trell me were I could get a copy of it. We are so excited to do this activity with our sisters. I read the book as a little girl and have always loved it. I made these recently and i used flour to make them into balls but I think that the flour left a weird taste on them. Does that sound right or might it have been something else? The only reason I could think of is if your flour was bad or there was just too much flour on them? Has anyone tried to make these with gf flour? Made these yeast tolls several times for my family & friends. They remind me of the yeast rolls my mom use to make. Taste great! 2. I can’t have it. Sounds like this recipe isn’t for you. It can’t be made without the yeast You may may want to look at biscuit recipes instead. Since we are a lactose intolerant household, this is my go-to recipe and it is very well received! Today, I added a teaspoon and a half each of oregano and basil, and I will pair them with homemade spaghetti and meatballs. It’s just such an adaptable recipe and my family and I thank you every time I make them! I am a bread.roll maker so I had to give these a try. These rolls took at least an hour. Baking time was more like 20 minutes. I used a lot more than the amount of flour listed in the recipe. They are more dense than other rolls I make becuase they don’t raise. Would probably be better if they raised before baking. These were amazing, I can’t believe how good they are for not having to rise. I didn’t use a bread hook, just mixed by hand, sticky but worth the mess. Everyone raved about them. Next time i will try half wheat/half white. LOVED THEM!!! Thanks for the recipe!!!! So glad you loved them too! Thanks for letting me know. I have made these numerous times and they are fantastic and fool proof! Great with garlic butter and herbs. I even add an egg/milk wash to give a little shine. Would for sure recommend!! What can I use in place of the egg? I have only made it with egg, if you usually replace eggs in baking I would use whatever you usually use. Hello, these look great. Will it work with chickpea flour? So simple and so great! You can do it in the morning even while half-asleep! 🙂 And the smell of freshly baked goodies is irreplaceable. I love this. I have never done it but I think it should work great. I’ve made these rolls many, many times. My family loves them!